Palmdale Estates is proud to be one of the East Bay’s premier wedding industry leaders for over 3 decades. In 1986, Palmdale Estates started its business by managing corporate events at Hidden Valley Ranch and weddings/receptions at the Stanford House in Warm Springs, Fremont. From there Palmdale Estates went on to host events for 28 years in Mission San Jose, Fremont on the private estate gardens of the Sisters of the Holy Family and in the historic “Best House”. In 2013, Palmdale Estates partnered with the Beemiller family to develop Nella Terra Cellars into an exclusive wedding venue on the Beemiller’s 100 acre private estate in the Sunol hills. Recently, Palmdale Estates opened its newest facility, Casa Bella, in Sunol’s quaint and charming downtown. 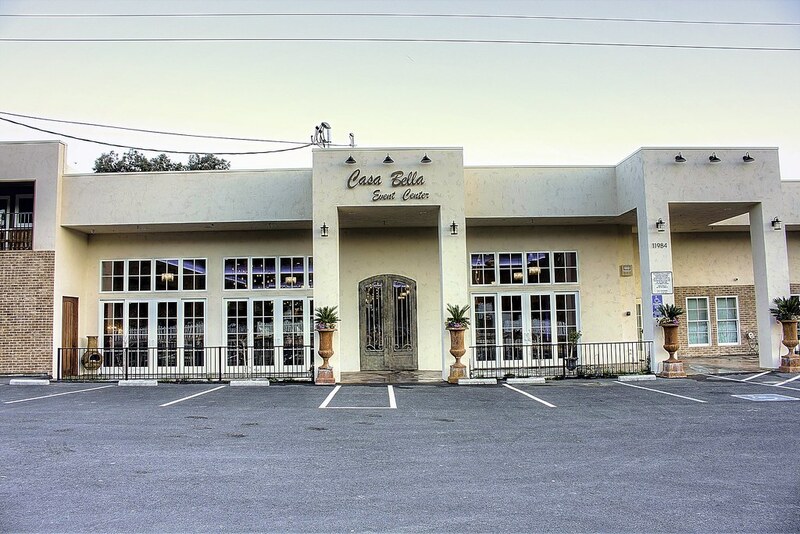 Casa Bella is a gorgeous venue with a mix of chic elegance and rustic charm. We are now happy to announce Palmdale Estates at the enchanted historic gardens at Ardenwood Farms in Fremont and our exciting plans to build a mission style venue on the property of the Fremont United Methodist Church. Palmdale Estates has an impressive history of exemplary service that has not only set us apart but has raised industry standards. Whether you are planning a wedding or a special event Palmdale Estates’ talented team will be there to guide your day. Our friendly tenured staff and highly skilled professional coordinators exude the passion and love for event planning necessary to make your wedding or special event dreams come true. Please call us at (925) 200-6900, or email us at info@Sunolscasabella.com to request a specific date and time for a private tour. Enjoy a wide variety of vendors displaying their services and products as well as tasting a delicious meal prepared by our chef along with complimentary wine and champagne. Buffet open 1pm - 3pm. 50% off the $40.00 admission fee for Casa Bella's brides and grooms and their guests.